This weekend the midshipmen of the US Naval Academy meet the Army cadets from West Point in their legendary annual football game. There will be cheering and courage as each military academy supports their players on the field. Meanwhile, on the sidelines each school's mascots will be waiting. The midshipmen will proud lead forward Bill XXXIII, the Navy Mascot Goat while three lucky West Point cadets will ride Raider, Ranger II and General Scott, the US Army Mascot mules around the packed stadium. As you might imagine, this tradition is highly honored at this historic match. Yet few people know that each mascot has a strong tie to cuisine. After all, wasn’t it Napoleon who said an army travels on its stomach? Well, the navy beat him to the punch on that one. Two hundred years ago the navy warships carried live chickens and goats aboard while at sea. That way they always had fresh eggs and goat milk for cheese and sauces. (Cows were just too big to take aboard and sheep were too confused by the endless sea). Besides goats had character and were always a ship favorite. Well, in 1893 the fourth Army Navy Football Game was being played at Annapolis. The USS New York had dropped anchor near the naval academy as the young officers planned to attend the game. On a whim they also brought their ship’s goat, El Cid, to the game. And Navy won! Navy had their mascot. By 1899 the army had had enough of the Navy's goat. An Army quartermaster visiting from Philadelphia left the stands and went looking for an appropriate mascot. He soon encountered an ice wagon being pulled by a strong white mule. “Perfect,” he thought. 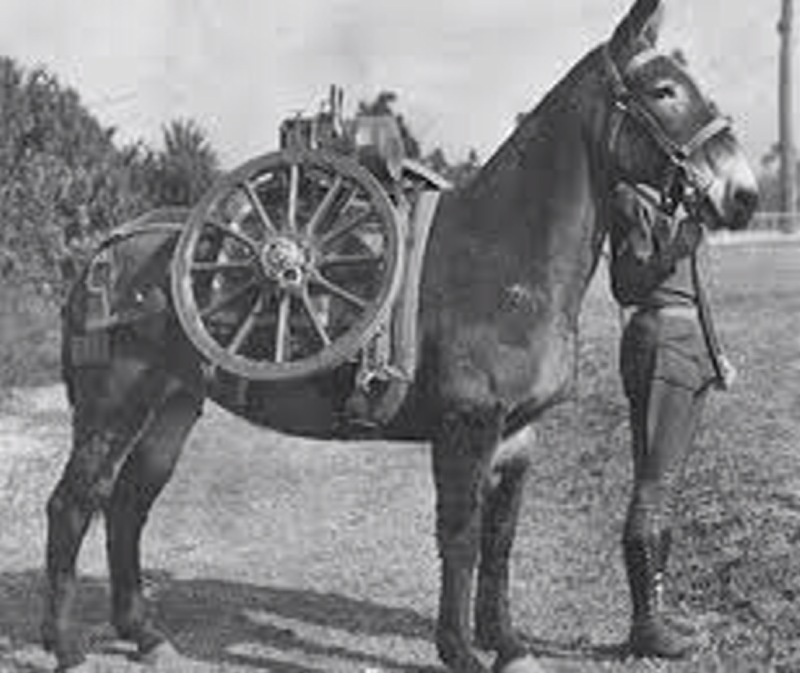 The army had long used mules to pull cannons and troop food wagons. Exactly how he convinced the owner to part with the mule midday has been lost to history but one can only imagine it had something to do with the famed mule-like tenacity of the Army that has won so many battles. At any rate, the mule arrived at the football field to the cheers of the cadets. West Point won the game and the Army had their mascot, sin ice wagon. So enjoy the game this Saturday and cheer loudly when you see your favorite mascot as army vrs navy in yet another history making game. Just be sure to serve some great goat cheese or sparkling round "cannon ball" ice in your classic army navy cocktail. Posted on December 10, 2010 by Ana Kinkaid and filed under Cheese, Sports and tagged Army Cocktail Football Mascots Navy.